At Pro-Line, we know what you expect from a day on the water – enjoyment. That’s why we build every boat with your enjoyment and safety in mind. Each Pro-Line built utilizes a combination of new advances in marine technology and all we’ve learned in our 40 year history. Construction of Pro-Line’s low-maintenance boats begins with F.I.S.T. (Fiberglass Integrated Structural Technology). 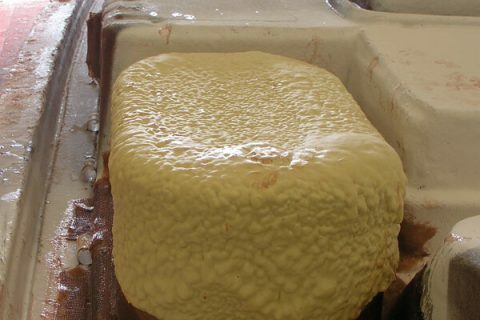 All wood is replaced with fiberglass and high-density, closed-cell foam coring. This means no wood to rot. And F.I.S.T. adds strength to the hull as well. 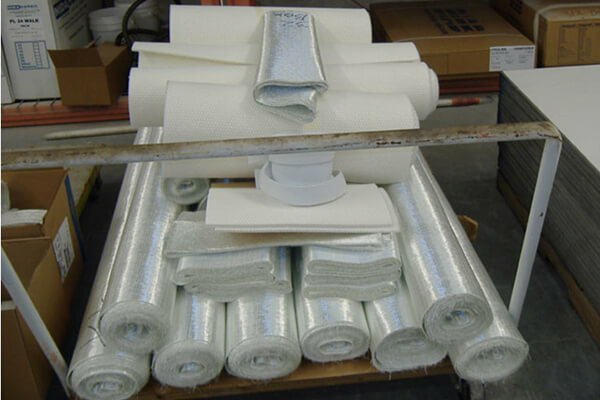 Hi-tech 3610 knitted fiberglass is hand-laid for maximum strength and durability. A 3 ounce skin coat ensures a glass-like exterior surface. Hardware is 316L marine-grade stainless steel, installed with reinforced backing, and fastened with aircraft locking nuts. All upholstery is top-grade 32 ounce UV-stable, colorfast, low-maintenance vinyl. After more than 32 quality control safety checks, every Pro-Line is put through “The Hurricane.” We check for leaks and make sure everything is operational so your first day on the water is everything you expect it to be. 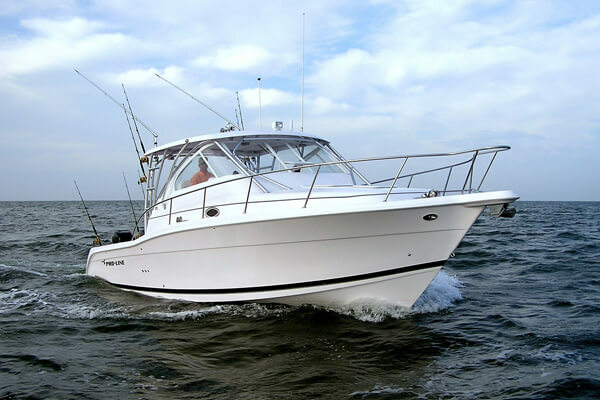 Pro-Line boats are built to exceed NMMA, U.S. Coast Guard and European CE standards. That’s why we can offer a 10-year transferrable hull warranty standard on every boat. So when it comes to resale, safety, dependability and quality, Pro-Line Boats delivers. 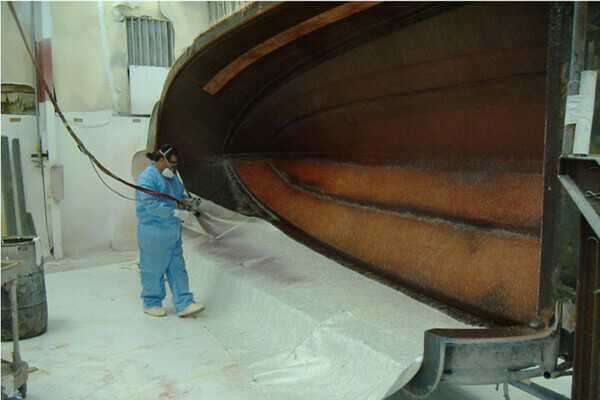 We laminate our hulls with a process and materials exceeding the requirements of “Lloyds Registry of Shipping”. We apply laminates by hand for a flawless finish and squeegee excess resin to minimize weight and yield the proper resin-to fiberglass ratio. Multi-axial fabrics improve laminate strength and overall sturdiness. Only high-quality marine resin satisfies our demands for strength and cosmetics. We demand the best because we build the best. High-quality ISO NPG gel coat finish provides durability and a long-lasting shine. Pro-Line applies 25 mils for strength while still maintaining flexibility and performance. Pro-Line’s proprietary Fiberglass Integrated Structural Technology (F.I.S.T.) 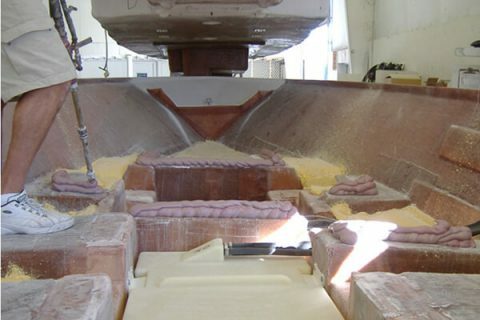 provides the rock solid foundation for all of our boats. Pro-Line completely eliminates wood rot with fiberglass stringers that we laminate to the hull for a superior one-piece hull system. We also use high-tech coring material which means less weight and no water absorption. Only interior cabinetry is made of wood. 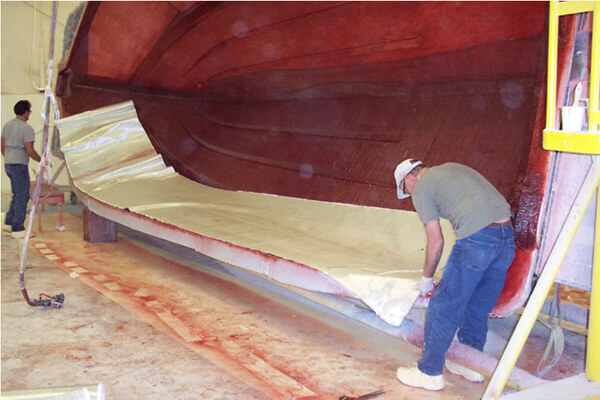 Fiberglass and coring materials are pre-cut and kitted for each boat to ensure quality and consistency. Attention to detail complements our precision processes. A Pro-Line’s hull-to-deck joint is bonded with an adhesive sealant and secured with stainless steel fasteners to provide a strong, water-tight union. The rub rail is secured through the deck and hull at pre-drilled intervals with sealed stainless steel fasteners. 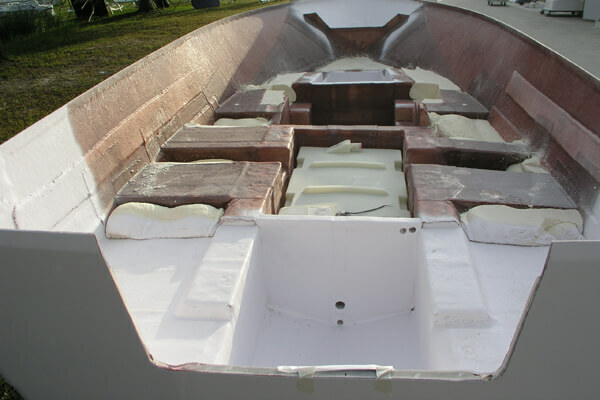 The bow area and transom are glassed together, and strong polyester putty bonds the deck to the stringers. This fortified process gives Pro-Line boats a solid “one piece” construction that keeps you safe and comfortable on the water. Foam insulated fish boxes and coolers keep ice frozen longer, while insulated live wells maximize bait life. 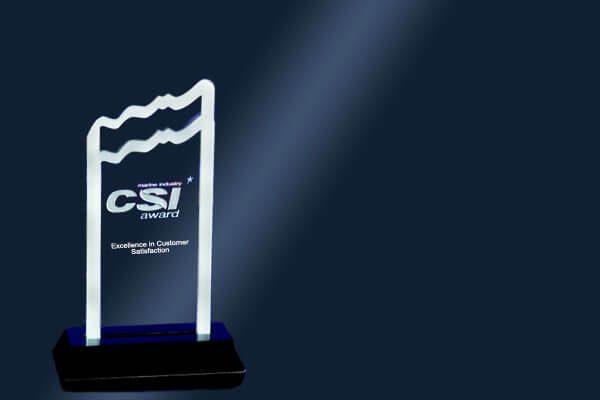 Such unseen elements bespeak Pro-Line's dedication to customer satisfaction. 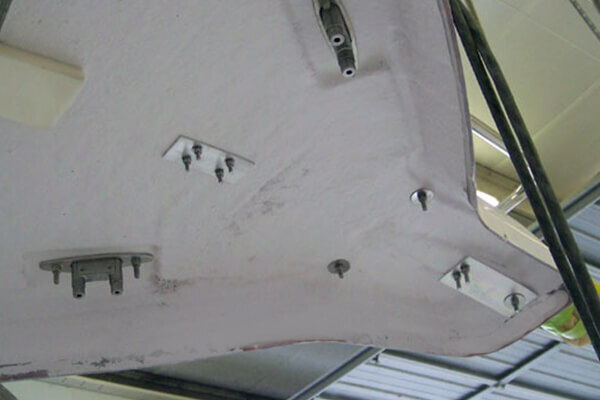 Aircraft style lock nuts prevent loosening, while aluminum backing plates keep bolts in place even under heavy loads. Through-bolted stainless steel hardware yields maximum strength and solidity with a clean look for the life of your Pro-Line. 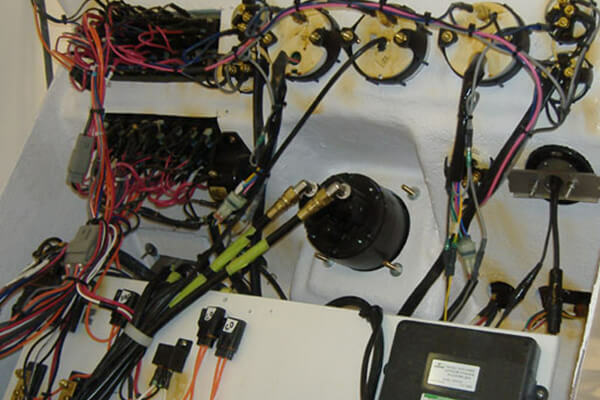 Pro-Line boats are rigged with top-quality, braided marine grade wire. Each connection is heat shrunk and sprayed to prevent corrosion. Sealed Deutch Connectors are used for maximum corrosion protection, and all wiring is color coded to meet NMMA specifications. Long-term partnerships with suppliers ensure product consistency and reliable technical support. We don’t shop by price — we shop to find the best materials for your Pro-Line.